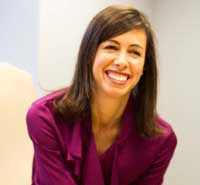 The Hispanic Radio Conference is pleased to announce that FCC Commissioner Jessica Rosenworcel will deliver the opening keynote at the ninth annual conference, being presentedMarch 13-14 in Miami at the Intercontinental at Doral. Referred to as a practical visionary, Rosenworcel has been called “unbelievably brilliant” by former U.S. Senator Jay Rockefeller. She “sees things out in the future, and she sees how they’ll intersect,” Rockefeller said. Rosenworcel will share some of that practical knowledge and visionary perspective in what is sure to be one of the highlights of the Hispanic Radio Conference. Jessica Rosenworcel returned as a commissioner to the FCC on August 11, 2017 after being nominated by President Trump and unanimously confirmed by the United States Senate. Previously, Rosenworcel served as an FCC commissioner from May 11, 2012 to January 3, 2017 following her nomination by President Obama and unanimous confirmation. Rosenworcel brings a decade and a half of public and private sector communications law experience to her position at the FCC. This experience has shaped her belief that in the 21st century strong communications markets can foster economic growth and security, enhance digital age opportunity, and enrich our civic life. Before joining the FCC, Rosenworcel served as senior communications counsel for the United States Senate Committee on Commerce, Science, and Transportation, under the leadership of Senator John D. Rockefeller IV. She previously served in the same role on the committee under the leadership of Senator Daniel K. Inouye. Before joining the staff of the committee, she served as legal adviser to former FCC Commissioner Michael J. Copps. She also served at the agency as legal counsel to the chief of the Wireline Competition Bureau and as an attorney-adviser in the Wireline Competition Bureau.